Size: Approx. 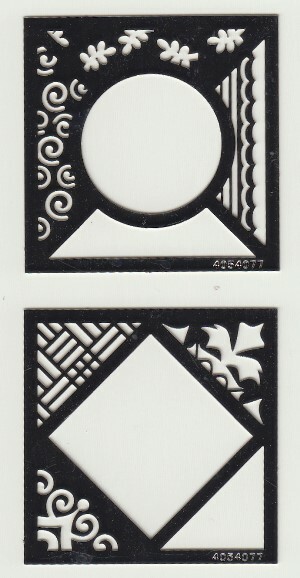 2" ea.This package contains 2 switch embossing stencils. Fun and easy to use for embossing and cutting. Each stencil can be used together or separately on cards, photos and more.